Make sure she knows that you're bursting with love for her! Whether Valentine's Day, an anniversary, or any day you want to knock her socks off - this is the way to do it! 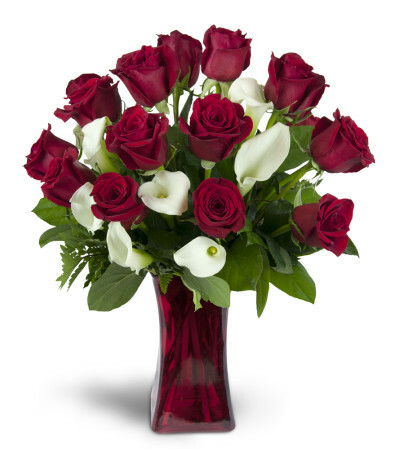 Featuring classic, romantic red roses and mini calla lilies for an extragant, indulgent touch, this arrangement is certain to make a huge impression. 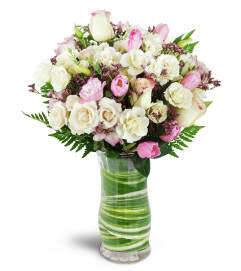 Upgrade to premium to add stunning, fragrant lilies!